What Makes Us The Perfect Consulting Firm For You? Since 1998, President Denise Magee has been actively and creatively assisting QuickBooks end users with QuickBooks Pro, Premier, QuickBooks Enterprise Solutions, QuickBooks Point of Sale, and Quicken, along with the many affiliated Intuit Products such as Payroll and Merchant Solutions. 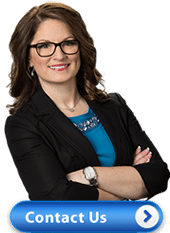 To ensure you, the end user, that you are getting the absolute best consulting possible, Denise Magee remains dedicated to attend training annually. Her affiliation with Intuit is also a valuable source of continued knowledge, not generally provided to the masses. In January 2011, Ms. Magee was elected by Management at Intuit as one of only 13 to sit on the Intuit Solutions Provider Advisory Council. This is a 2 year term in which she meets with Intuit Managers, Product Development Teams, and the remaining 12 collegues to help futher the direction of products and services at Intuit. Below are just some of the accomplishments and credentials of Denise Magee. June: Attended QuickBooks Online Certification Training sponsored by Intuit in Tampa, Florida. February: Invited by Intuit to the Demo Days located in thier Fredricksburg, VA Office. February:Attended Intuit Reseller Roundup for POS and QuickBooks Enterprise partner training. Demember: Completed and passed QuickBooks ProAdvisor 2014 QuickBooks Recertification. November: Attended Third Party Software conference for training. June: Attended Scaling New Heights for QuickBooks POS 2013 and QuickBooks training. February: Attended Intuit Reseller Roundup for POS and QuickBooks Enterprise partner training. May: Attended Scaling New Heights in Nashville for POS 2013 training. May: Completed and passed QuickBooks Advanced Certification- Continuing Education. January: Completed and passed QuickBooks 2011 Certification. Intuit awarded Quality Consulting Group with Top National Sales and Top Regional Sales Acheivement Awards. 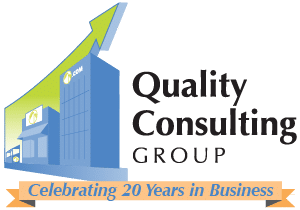 Quality Consulting Group was the only firm to receive both national and regional awards. Selected by Intuit to travel to Palo Alto for a private meeting with Intuit Managers and Directors. May: Completed and Passed QuickBooks Point of Sale 9.0 exam and certification. March: Completed and Passed QuickBooks Enterprise Solutions update exam. February: Completed second exam for continuation of my Advanced Certification. Attended Intuit Solutions Provider Summit in Chicago, Illinois. July: Completed a national training and implementation tour of QuickBooks Enterprise Solutions 9.0 for a national franchise corporation. June: Completed and Passed QuickBooks Enterprise Solutions 9.0 Exam. May: Completed and Passed QuickBooks Advanced Certification Exam. March: Completed and Passed QuickBooks Point of Sale V80 Exam. Intuit honored Quality Consulting with 2 Case Studies. Only 3 total were completed of which we were selected for 2 of them. The case studies focused on converting clients from other Mid-Market accounting programs to QuickBooks Enterprise Solutions. The first one was Jacobson Windows and the second was Sterling Research.